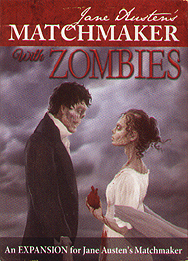 Play Matchmaker in the midst of a very English zombie apocalypse. Hearts may be won or broken... or eaten! This is not a complete game. A copy of Jane Austen's Matchmaker is required to play this expansion.